Car Scents have the same high-octane odor fighting ability as our household scents. Your ride will smell as good as it looks! 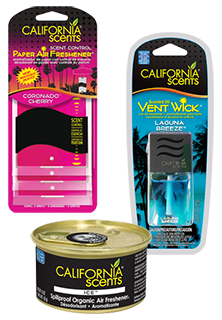 Come and check out our amazing line of California Scents air fresheners. We have the lowest prices in the nation. - GUARANTEED!